Chateaux D Mont Keystone condos are steps from skiing in Keystone CO Real Estate. There are 28 units in Chateaux D Mont Condo, 15 – two bedrooms and 13 – three bedrooms. Built in 1982 the condos range in size from 1445 – 1807 square feet. Each residence has their own private indoor hot tub, washer/dryer and wood burning fireplace. 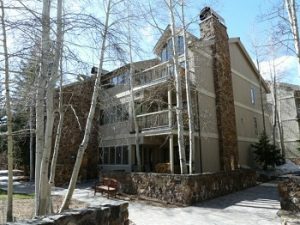 If you are looking for an ideal Keystone ski condo for sale, Chateaux D Mont Condo is a must see. Located steps from the base of the Mountain House area of the Keystone Ski Resort, makes Chateaux D Mont Condos these Keystone condos easily ski in and a short walk to the slopes. On the opposite side of Chateaux D Mont from the Keystone ski area is the serene Snake River where you can enjoy a peaceful walk in the summer. Each of these Keystone condos comes with views of either the Keystone Ski Area or the meandering Snake River. When considering Keystone CO Real Estate let Justin and Krystal Knott with LIV Sotheby’s International Realty help you find the property that is right for you and your family, which just may be Chateaux D Mont Condo.